QuickBooks Pricing from AxonWare. 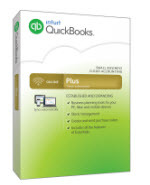 Get QuickBooks Online PLUS UK Edition 1 Y. Order Online from the leading QuickBooks discount reseller in Europe. Ph: +353 1 6535178. AxonWare the best place to buy QuickBooks. QuickBooks Online PLUS UK Edition (1 Year Subscription) is a financial accounts solution for small or medium sized UK businesses. We need you to provide the email address you plan use to login to your QuickBooks Online. There can be a couple of gotchas - if moving from QuickBooks Desktop. To help it run smoothly why not book 30 mins with AxonWare to pre-flight check your data file, fix minor errors and send to QBO? Choose as an optional support extra when ordering online for peace of mind. • Manage account receivable and accounts payable. Send statements and payment advices. • QBO is a subscription service that runs on your browser. You dont need to download or install any special software e.g. Safari, Chrome, Firefox or Internet Explorer. Latest versions recommended. We've tested it on PC, iPAD, Samsung Galaxay Tab. • Note: This subscription is for UK businesses only. This subscription is NOT recommended for Irish or other (non UK) customers.